John A. 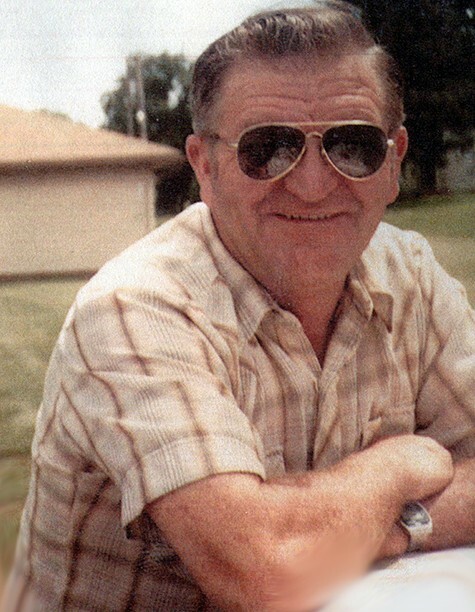 “Jack” Bainbridge, 87, of Smithland, Iowa, passed away on Tuesday, March 26, 2019, at his home, surrounded by his family. Funeral services will be 10:00 A.M. Saturday, March 30, 2019, at the Holly Springs Bible Fellowship, Holly Springs, Iowa, with Pastor Jim Thomas officiating. Burial will follow in the Little Sioux Township Cemetery, Smithland, Iowa. Visitation will be 5:00 – 8:00 P.M. Friday, March 29, 2019, at the church. Arrangements are under the direction of Rush Family Care Service, Onawa, Iowa. John Amos “Jack” Bainbridge was born on August 26, 1931, in Washta, Iowa, to Joseph Cecil and Ruth Hester (Plummer) Bainbridge. He grew up and attended school in Climbing Hill, Iowa. Jack married Nancy Elizabeth Rohde on November 18, 1949, in Onawa, Iowa. To this union, four children were born: Roger, Jolene, Susan, and John. He worked for Irving F. Jensen Construction for thirty-five years. After he retired, he owned and operated a salvage company and also raised hogs. Aside from his work, which Jack greatly enjoyed doing, he liked everything to do with cars. He was a member of the Holly Springs Bible Fellowship in Holly Springs. Survivors include his wife of 69 years, Nancy E. Bainbridge of Smithland, IA; children, Roger (Barb) Bainbridge of Mapleton, IA, Jolene (Ron) Ernst of Ida Grove, IA, Susan Anderson of Whiting, IA, and John (Michelle) Bainbridge of Smithland, IA; grandchildren, Stacey (Scott) Mead, Jeremy (Jenny) Bainbridge, Shelly (Tony) Bloyer, Jessica (Allen) Mead, Cammie (Jason Harm) Georgius, Ryan (Jenny) Ernst, Misty Larson, Carrie Anderson, Dan (Brandie) Anderson, Joe (Leeandra Cox) Anderson, Jenifer (Brian) Matthews, and Christopher (Cathy) Bainbridge; thirty-three great-grandchildren; two great-great-grandchildren; sister, Phyllis (Roy) Struble of Hornick, IA; and many nieces and nephews. He was preceded in death by his parents, Joseph Cecil and Ruth Hester (Plummer) Bainbridge; and three brothers, Owen (Geri) Bainbridge, Loren (Ida) Bainbridge, and Ward (Judy) Bainbridge.